Ghouls and goblins, ghosts, and gremlins – it’s the most wonderful time of the year for things that go bump in the night! 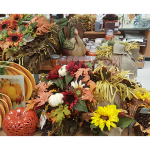 Halloween gets kids and families amped up and this holiday kicks off the excitement of the holiday season. How do you celebrate Halloween? Do you change your entire front yard and create the ultimate scary haunted house for trick-or-treaters? Perhaps your home represents the gathering place for friends and family to start or end the evening with a fun party for everyone? As long as you stay away from being the person who shuts off their porch lights and pulls the curtains, you fall into the category of a celebrator – and good for you! We definitely fall in that category, too. 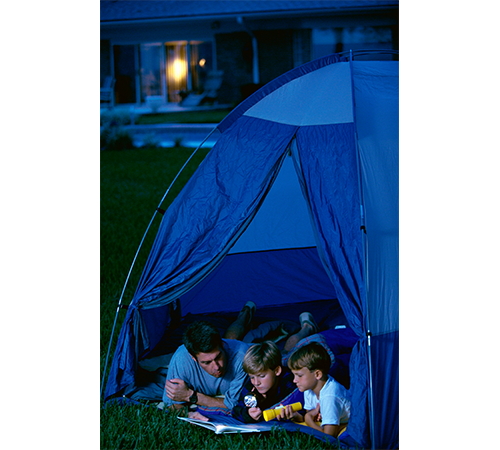 Along with all of the decorations and treats, Halloween can offer many wonderful opportunities to curl up with a good book on a cool, dark, fall evening. We collected a few classic, older books we enjoy at this time of year and hope you find them worth a read. Jerry Seinfeld Halloween by Jerry Seinfeld – The comedic genius created a standup routine about Halloween and this book comprises what he performed onstage. His hilarious take on a child’s obsession with candy and the concept of Halloween makes our kids laugh and quoted all year long, not just in October. Pumpkin Heads by Wendell Minor – This beautifully illustrated book makes jack-o-lanterns come alive inside its pages. Kids will love to look at the pictures and may even get carving ideas for their very own pumpkin heads. Added bonus: it looks beautiful propped on a mantel for decoration! 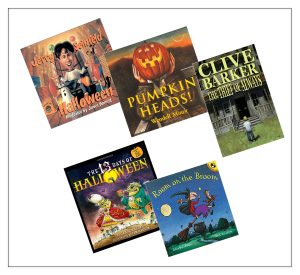 Better yet – let your children choose their favorite pages for display and rotate through the images during the Halloween season. Room on the Broom by Julia Donaldson – Gritch the Witch knows the key to friendship: she always creates room on her broom for one more friend… until she meets up with a dragon who tries to bring her broom-flying days to a halt. Kids will love this rhyming, repetitive, fun, and funny story with a lovely message and darling conclusion. 13 Days/Nights of Halloween – Several versions of this story exist with different illustrators using their talents to make the story come alive through their interpretations. Choose the one that appeals to you and your children and this quirky cousin to the 12 Days of Christmas becomes a new family favourite. These books range from read-alouds, to young adult fiction and we think they all do a perfect job of welcoming in the season of creepy crawlers and scary, spooky creatures. Happy reading and happy Halloween!